This month’s cover features a page from the Codex Mendoza, a work commissioned by Antonio Mendoza, the first Viceroy of New Spain, around 1541, just 20 years after the conquest of the Aztec capital, Tenochtitlan. Intended to inform King Charles V of Spain about his recently conquered subjects, the Codex Mendoza was painted by indigenous scribes under the supervision of Spanish clerics, who wrote Spanish glosses for the Aztec characters. This page documents the semi-annual tribute owed to Spain by the province of Tochtepec in the Gulf coastal lowlands of northern Oaxaca and southern Veracruz. 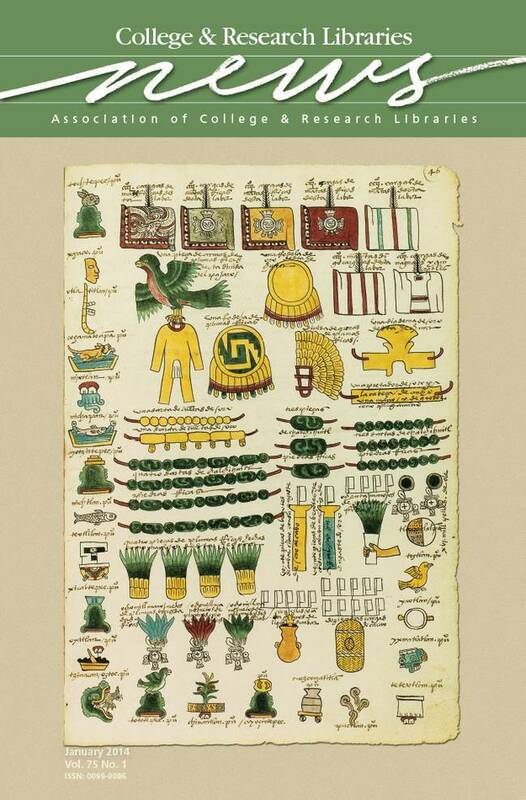 The facsimile page is part of the University of Kentucky Libraries “A Glimpse into Ancient Mexico: Writings of the Aztecs, Mixtec, and Maya” exhibit. Learn more at http://go.uky.edu/mexcodices.